No full time concierge or reception - kind of like an 'Airbnb', but great! Excellent, comfortable and nicely decorated spaces. The kitchen would have been great if we had been on a longer trip. Everything was fresh and clean but free from the harsh smell of detergents. 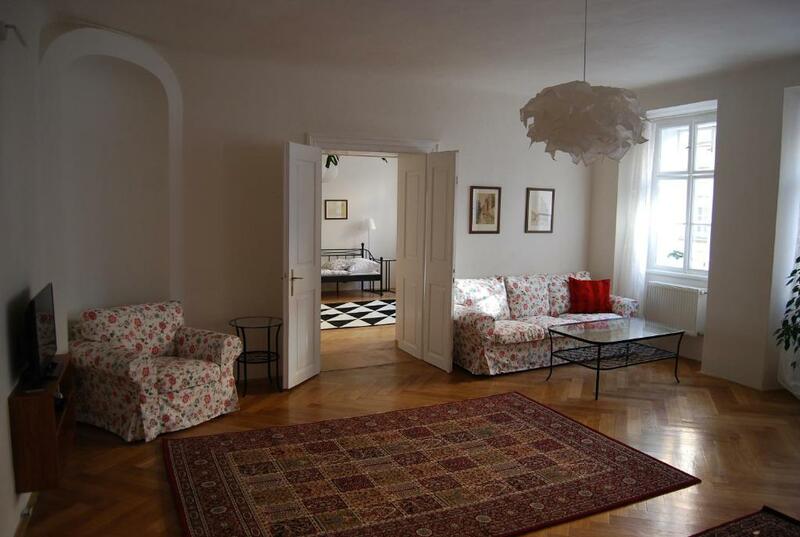 Very spacious apartment in a lovely old building (being renovated). Very good location - close to the K bridge yet quiet at night. Well equipped and very clean. Absolutely everything was excellent. We got a very warm welcome from Misa, despite the fact that we termed up very late because our flight got diverted. The flat itself was wonderful. The rooms are enormous and the standard of decoration is very high. 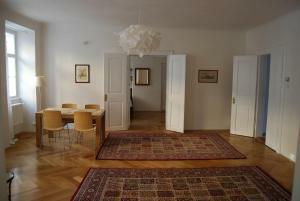 The location is of the flat is also perfect - between the castle and the Charles Bridge. There are lots of nice cafes, bar and restaurants locally and there is no need to cross the river in the evenings. Nevertheless, the street outside is not too busy. Thoroughly recommended. Great location in a very touristy section of Praha. Was a great location, we walked everywhere from the apartment and You could not believe how quiet the place was at night. The apartment was comfortable and exactly as advertised, has everything we needed (the kitchen is extremely fully equipped not only for a simple cooking!) 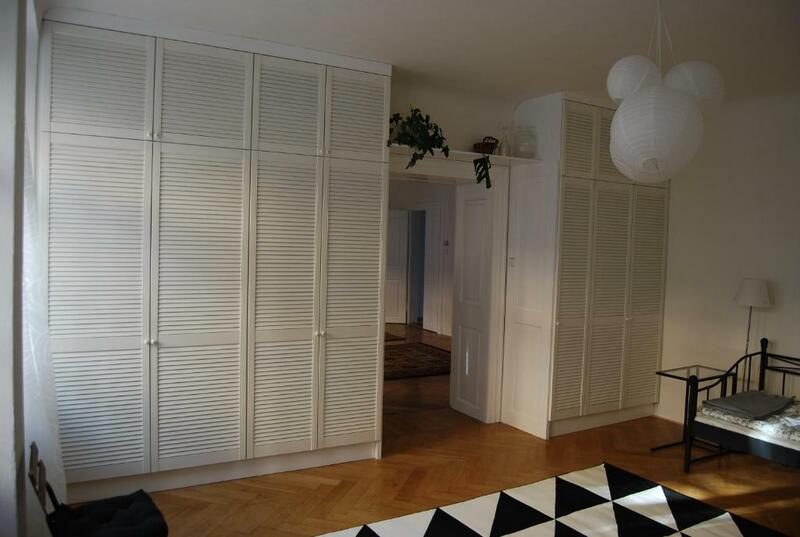 and was very clean and comfortable (both bedrooms with really huge closets). The owner was very friendly and responsive before and during the trip! She met us on time (even if we had changed the time of arrival in the morning) and was most helpful with all ours requests. We would definitely return. My family and I (we were the group of 5 - 2 couples and 7 years old kid) were extremely happy there and wish we could have stayed longer! Zuzka and Matej, thank You very much for Your hospitality! 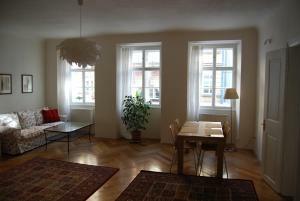 Large rooms, fully equipped kitchen with dishwasher and washing machine. Downstairs there's a fruit shop. Nearby there are plenty of restaurants. You don't need a car or a bus to visit the most important sights of Prague. Even the tram is only 100 meters away. El apartamento completo es muy bonito y muy espacioso. Esta muy bien ubicado. Чистые, светлые, просторные апартаменты, хорошие кровати, полный набор всех кухонных принадлежностей. Отличное местоположение. Le logement était très spacieux. La cuisine très bien équipée (cafetière Nespresso....). la localisation était idéale. Nous avons même pu rester un peu plus longtemps dans l'appartement, notre avion ne partant qu'en fin d'après midi. Lock in a great price for Trziste Apartment – rated 9.7 by recent guests! 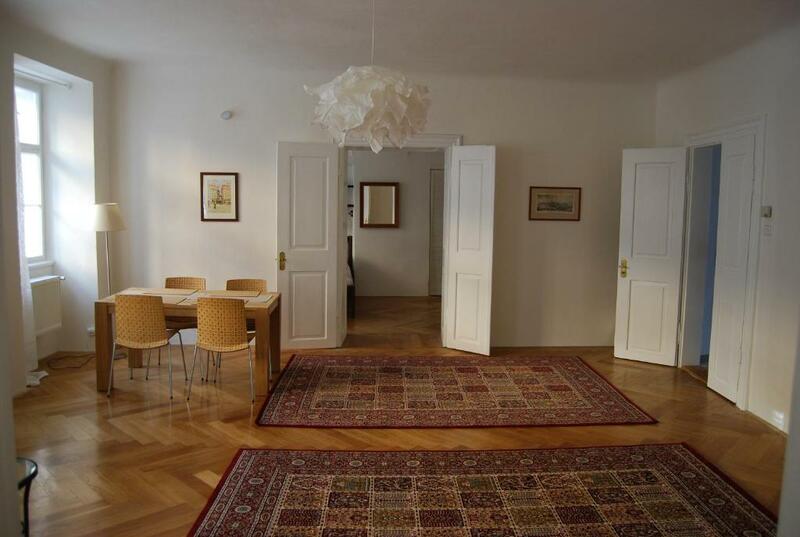 Offering free WiFi and garden views, Trziste Apartment provides accommodations located in Prague, just a 7-minute walk from Prague Castle. 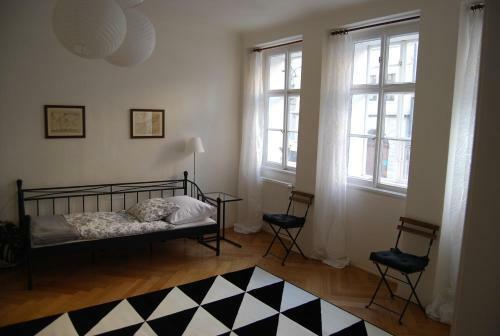 The apartment, set in a building dating from 18th century, is 0.4 miles from St. Vitus Cathedral and a 17-minute walk from Charles Bridge. This apartment features 2 bedrooms, a satellite flat-screen TV, and a kitchen with a dishwasher. There's a bathroom with a bath and shower, and free toiletries and a hair dryer are offered. 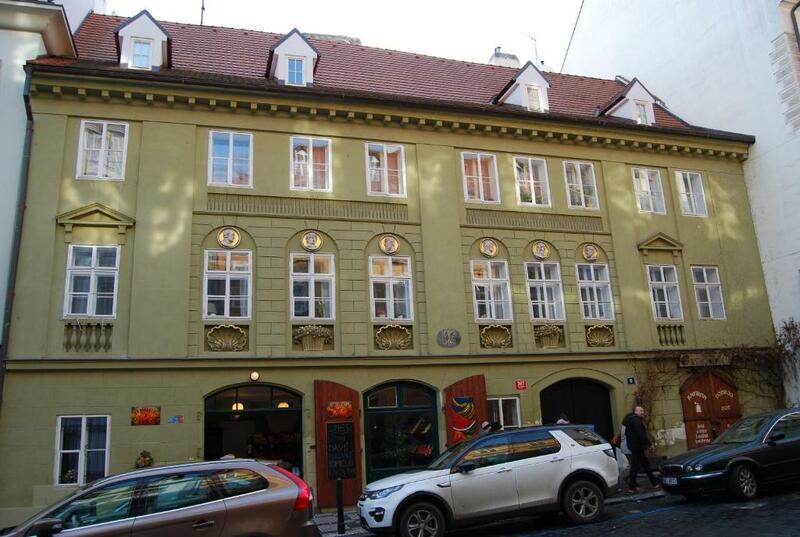 Prague Astronomical Clock is 1.2 miles from Trziste Apartment, while Old Town Square is 1.2 miles from the property. 뀐 Located in the real heart of Prague, this property has an excellent location score of 10.0! When would you like to stay at Trziste Apartment? 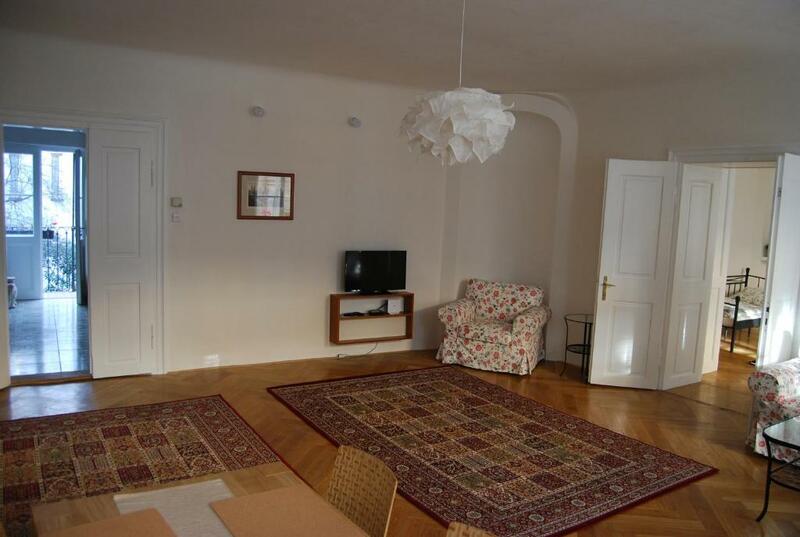 Nabízíme krásné ubytovaní v zrekonstruovaným apartmánu v samém srdci Prahy. Nabízíme apartmán jak pro jednotlivce, páry a nebo celou rodinu s dětmi. Jeho jedinečnost spočívá v atmosféře celého bytu a místa. Jmenuji se Zuzana. Mám ráda naši rodinu a našeho psa Huga. Ráda sportuji a cestuji. Náš apartmán se nachází pár kroků od Karlova mostu a Pražského hradu. Je to krásné místo na romantické vycházky a lepší místo v Praze nenajdete. House Rules Trziste Apartment takes special requests – add in the next step! A damage deposit of EUR 50 is required on arrival. That's about 56.01USD. You should be reimbursed on check-out. Your deposit will be refunded in full by bank transfer, subject to an inspection of the property. Please inform Trziste Apartment of your expected arrival time in advance. You can use the Special Requests box when booking, or contact the property directly using the contact details in your confirmation. One of the toilets was not clean at all. Location is best. Also the wide space. The two single beds are rather firm and the pillows could be better. The double bed lacked a smooth sheet and it only had a coarse mattress cover/sheet. 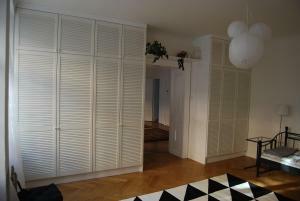 Nothing!, The apartment is completely renovated and new equipped. You've to know that it's in an old building which isn't completely renovated yet. But there wasn't any noise.